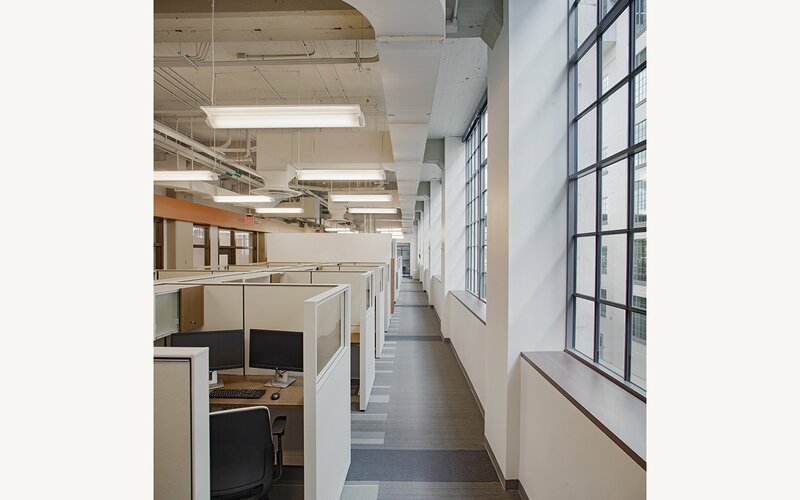 Originally part of the R. J. Reynolds Tobacco Company campus in downtown Winston-Salem, this historic 1927 building is now one of the anchors of the Wake Forest Innovation Quarter’s north campus. 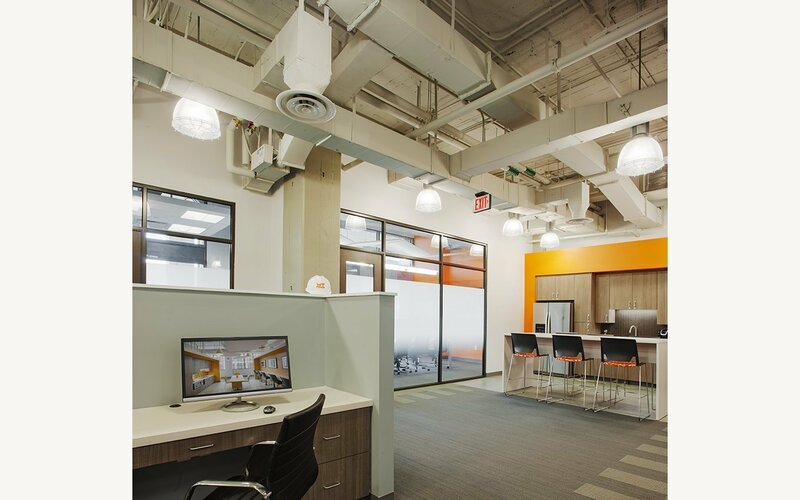 Owner and developer Wexford Science + Technology asked CJMW’s Interior Design Studio to design office suites for two different tenants: Whiting Turner Construction and Wake Forest University School of Medicine. 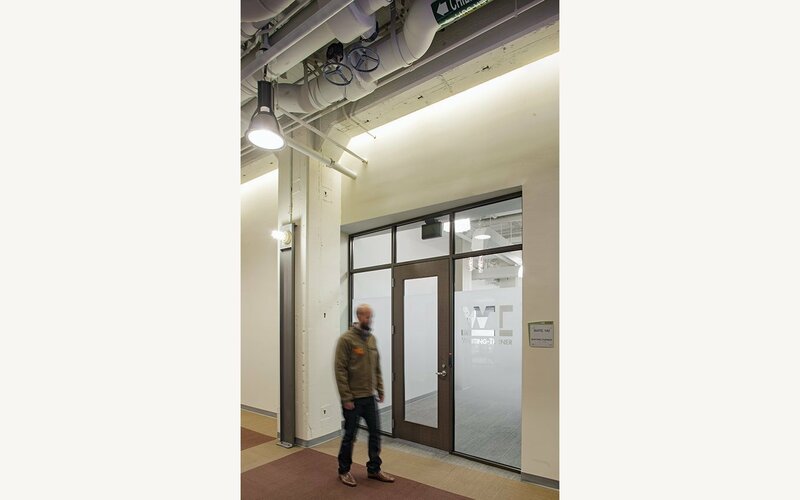 Each suite needed to include private and open offices, conference/ huddle rooms, waiting areas and break/kitchen areas. 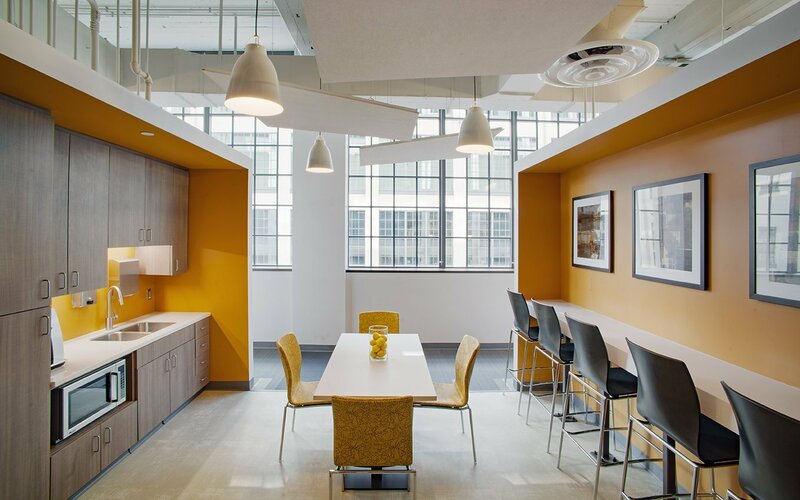 Both suites feature a neutral palette enlivened by a bright clear color as an indicator for specific functional spaces such as break areas. 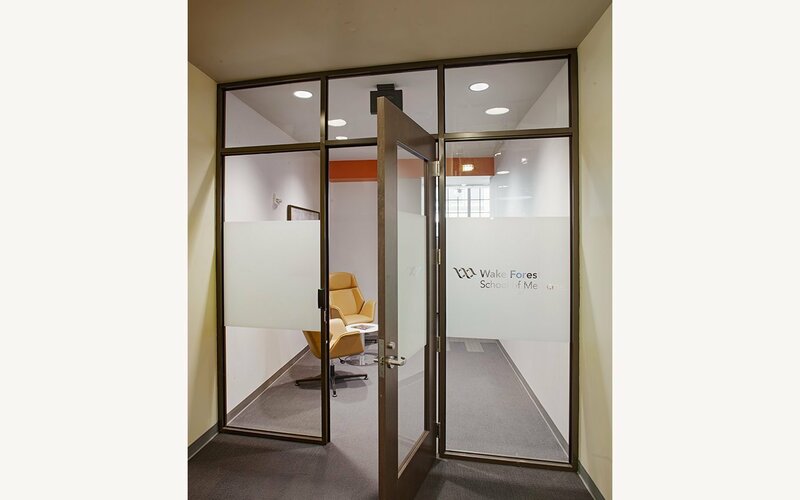 Storefront glass walls define some private offices, conference, and huddle rooms while allowing light to suffuse throughout the suites; an etched strip along the glass provides privacy for those using the rooms. 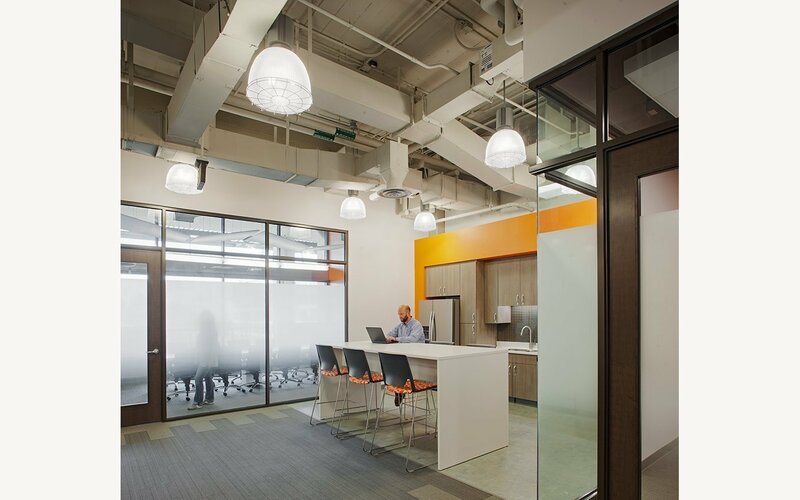 Open office area walls are kept low and those nearest windows include a glass panel for additional light. In the Whiting Turner Suite, the kitchen/ break area opens to the larger space. People can use the bar height table as a landing spot but still remain in the larger conversation. In the School of Medicine suite, the kitchen includes a family table as well as more private seating options.